Every spring, when the sailing season in Asia goes down, we are starting to accept bookings for work in Europe. The majority of our customers are motor yacht owners in need of an experienced skipper to take them around the Mediterranean Sea. 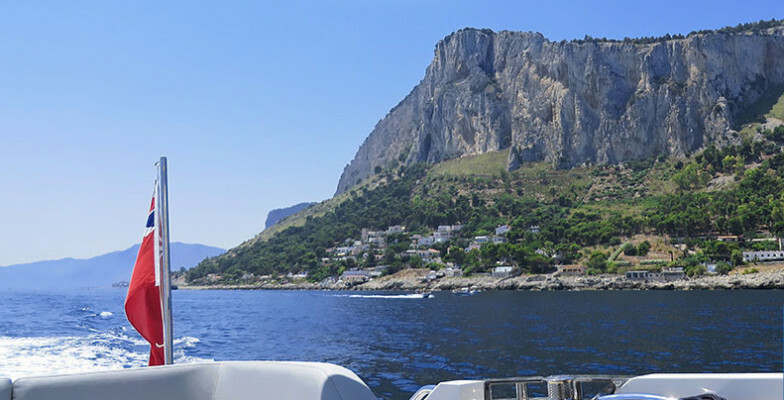 Having done a number of such trips we have now put together our Cruising Guide to Italy which is very much based on the enthusiastic reviews by our customers. 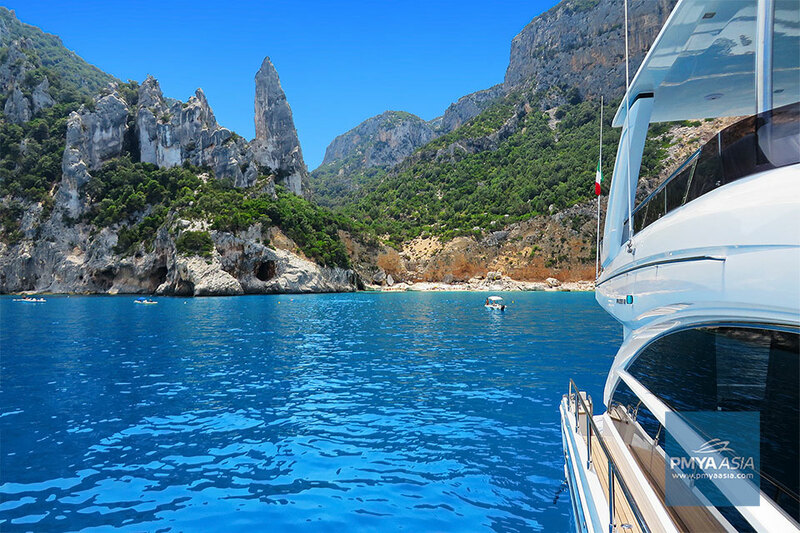 Island hopping is an essential part of every sea trip around the Mediterranean. 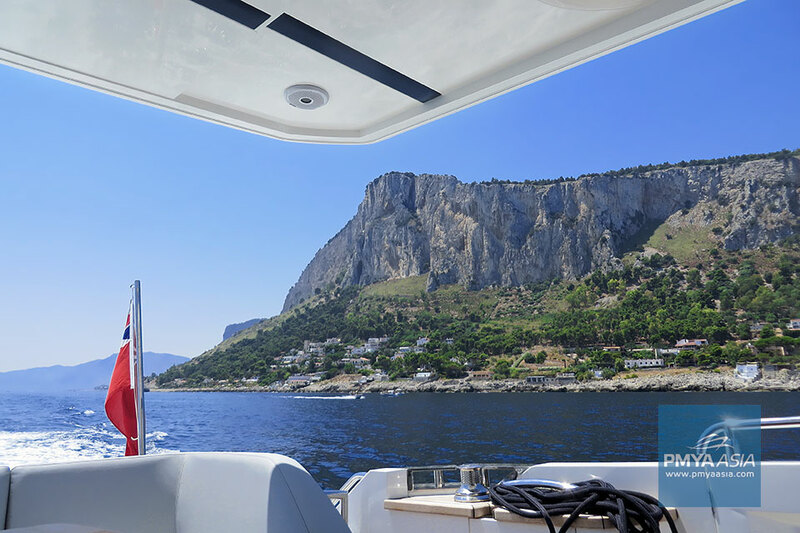 Especially when it comes to cruising around Italy whose islands of Sicily and Sardinia are the biggest in the region. And of course, there are the Aeolian Islands too. They are like a cherry on the cake – small but add so much to the flavour of a journey. The Aeolian Islands lie just to the north of Sicily. A total of 7, all of them are of volcanic origin. And the all-time favourites of our customers are Stromboli and Panarea. Sailing by a smoking volcano is a site to be remembered for life. 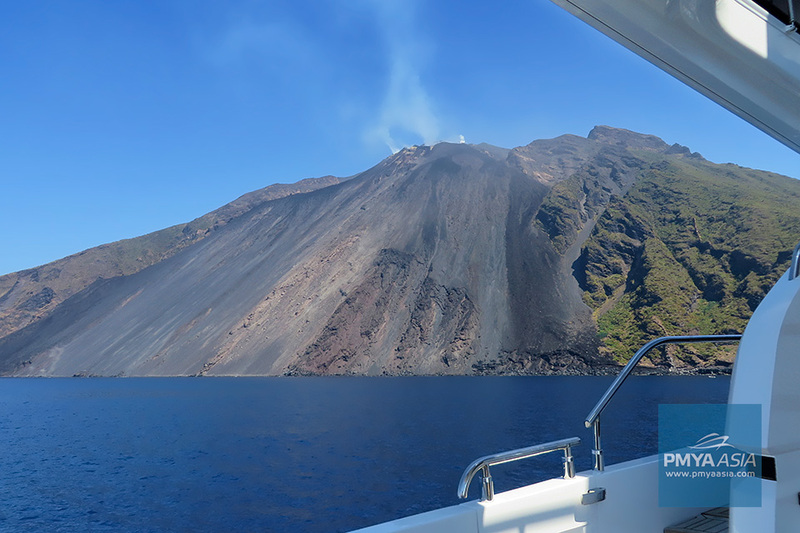 Stromboli is an active volcano that has been famous for frequent but small eruptions for the past 20 years. Fortunately, none of them has been catastrophic. The last eruption with serious consequences for several victims and damaged buildings took place in 1930. Watching the lively volcano at night is even more unforgettable. Thanks to the bright glow of the lava emissions Stromboli is called the “Lighthouse of the Mediterranean”. The area occupying almost half of the island is called Sciara del Fuoco (Street of Fire) – this is where the spectacular lava flows and the rocks bounce down into the sea. Boats cannot come closer than 400 metres to the area: a red-and-white pole marks the border. The world famous fashion designers Dominico Dolce and Stefano Gabbana own a villa in Stromboli. One of the best selling perfumes created by Dolce&Gabbana brand called Light Blue was inspired by “the joy of living the light blue Mediterranean life”. There are no cars, 2 pebble beaches, 10 hotels and 1 nightclub in Panarea. That being said, it still has been an absolute summer hot spot for wealthy Europeans and celebrities. Panarea’s population made up of only 300 residents increases by 5-6 times in the summer months. 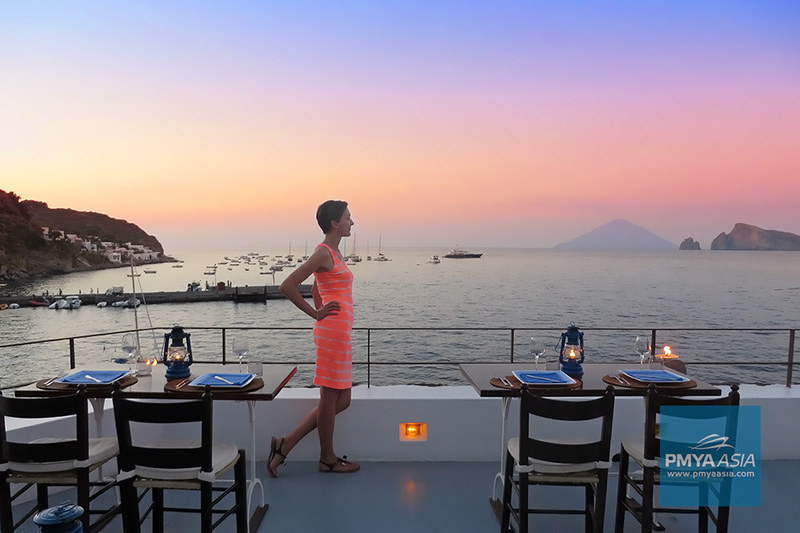 Panarea is a picture-perfect little island with white villages, narrow streets and lovely restaurants overlooking the volcano island of Stromboli and the bay where you may spend a night on anchor. This little paradise in the middle of the Tyrrhenian Sea will definitely give you that special Mediterranean feel. For dining, we recommend choosing the terrace restaurant in the famous Hotel Raya. For its 50 years history, the hotel has contributed a lot into turning Panarea into the aristocratic and bohemian retreat. Always on the menu is the island’s best organic food with the finest Sicilian wines on the terrace under the stars. Make sure to book a table in advance! The largest island in the Mediterranean, Sicily is a true melting pot of cultures: Greeks, Romans, Byzantines, Arabs, Normans, French, Spaniards, Austrians, British, and finally the Italians – all added their best spices into the mix of cultures, architectural styles and cuisines. Three seas – the Mediterranean, the Ionian, and the Tyrrhenian, wash the Sicilian shores. 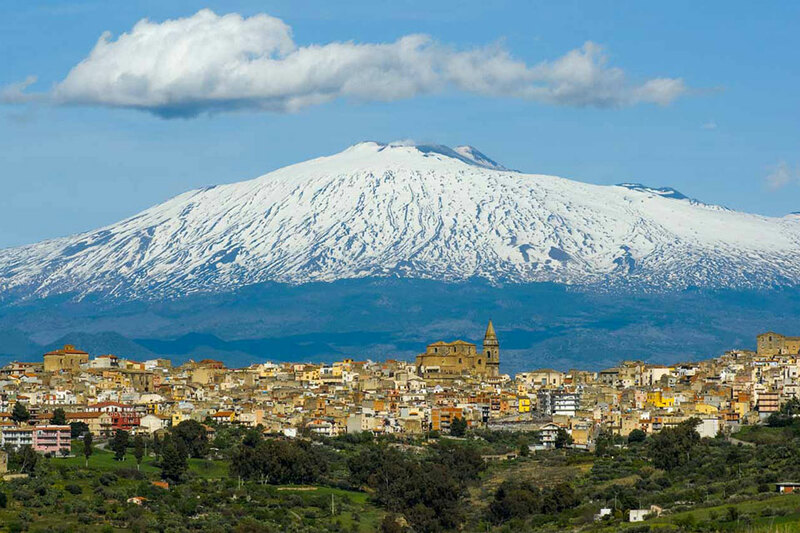 On its east coast, Sicily boasts the view of the famous Mount Etna volcano, the highest in Europe and one of the most active in the world. You can enjoy a better view of this giant on a clear sunny day or night, with its crater shining in the dark. Etna’s volcanic soils are extremely fertile with regular crops of artichokes, peaches, oranges, lemons, cherries, grapes, grapefruits, plums, tangerines, pomegranates, figs, dates, bananas, tomatoes, and many other plants. Oh yes, and the vineyards too! Isn’t it a wonderful reason to check one or two famous Sicilian restaurants when cruising around Italy? 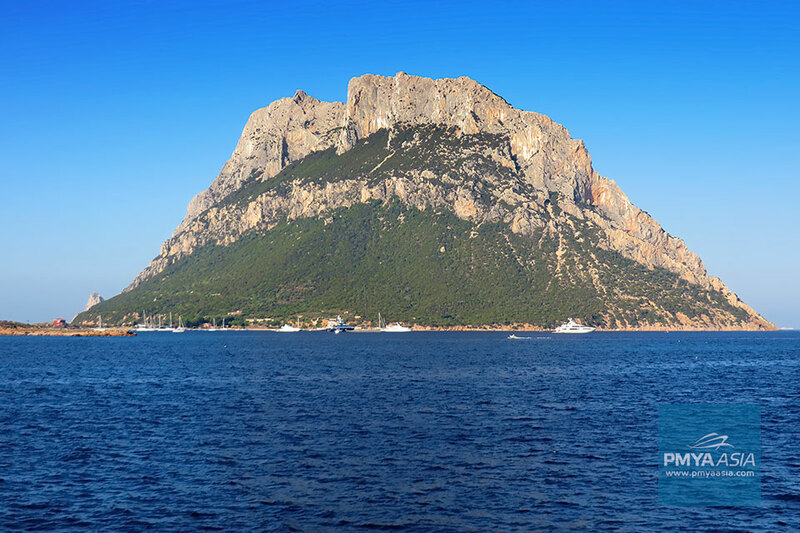 Sailing along the north-western coast, the majestic rock massif of the reserve is there to utterly impress you. Sardinia is another Italian island with a stunning rocky coastline. One of its highlights is the Gulf of Orosei on Sardinia’s east coast. More than 30 kilometres of beautiful beaches and caves with crystal clear water and the background of steep cliffs. All these marvels are parts of the National Park, where, except for a couple of beaches, you cannot reach by foot. 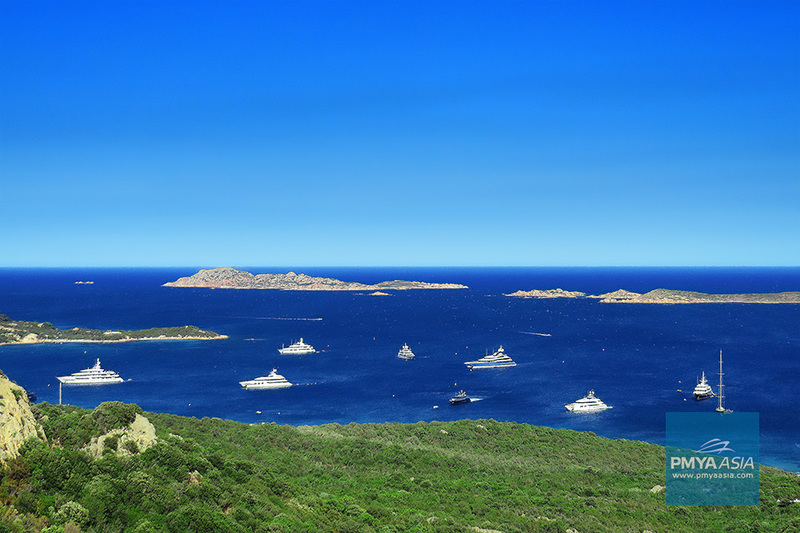 In the north-east of Sardinia, there is a famous Costa Smeralda (Emerald Coast) longing to dazzle you with its blue water bays so cosy for anchorage and perfect for fun on the water. In the heart of Costa Smeralda, there is Porto Cervo Marina, comfortable and well sheltered from the wind. It is one of the top 3 most expensive marinas in the world. And the scenery of the marina is there to match: white villas, boutiques of the global fashion brands, exclusive restaurants and, of course, luxury superyachts. You can find this breathtaking spot in the southern end of the Gulf of Orosei. The colour of the water will amaze you with its emerald hues, so typical of Sardinia. Snorkeling in this crystal clear water is highly recommended. The tiny beach emerged as a result of a landslide in 1963, and the cliffs surrounding it are truly unique. The tallest of them is 143 metres high. And the natural arch in the rock on the beach adds to the charm of the place. The rock island of Tavolara in the north-east of Sardinia boasts a pretty impressive sight and its waters are favoured by divers. At the highest point, the rock reaches 565 metres. The island has two beaches and is currently inhabited by a dozen of families. One of them holds a small restaurant, the only one on the island.